A new season of fieldwork is underway. 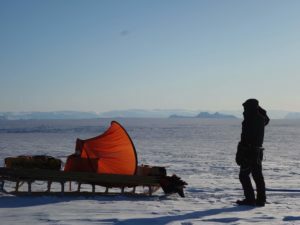 A team of four has set out to survey the two selected areas for subglacial access drilling on Store Glacier. The team consists of Coen Hofstede, Rickard Pettersson, Adrian McCallum, Tun Jan “TJ” Young. 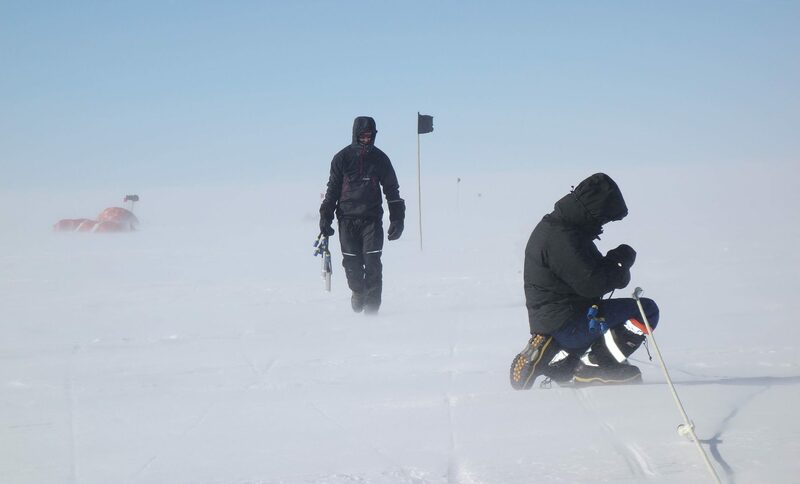 The team is working in groups of two, with Coen and Adrian responsible for collecting seismic data from which we can identify the crystal structure of the ice and the subglacial properties of the bed. These properties include soft sediments, which deform easily and lubricate the basal motion of the glacier. 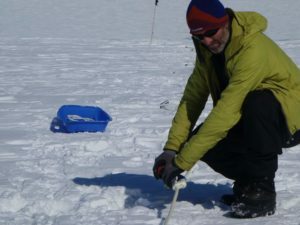 Rickard and TJ is using radio-echo sounding to produce a gridded map of ice thickness and search for stored water, or meltwater streams at the bed.